Things are moving right along. 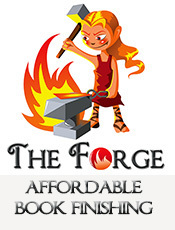 I’m waiting on one more beta reader to get done with Fire Wizard. The good thing is, two of my betas pretty much read it in one sitting because they said they couldn’t put it down. 🙂 I might be having a FB party for the release. I’m looking at an end of September release. I’ve written one scene of my cozy mystery (title to be determined later), and have worked a little on a couple more scenes. I have a love/hate relationship with Scrivener, but I think I’ve worked out most of the bugs, so it’s mostly love. I was having problems losing the formatting, but I think I got it worked out. I’m a linear writer, but I like how when I think of something that could go in a scene later, I can just go to that scene (I have outlines, so I can tell where that scene is) and write it before I forget. Then I can go back to the scene I was working on. I’m still trying to decide whether or not to write this book under this name or another pen name. I have reasons (that some of you know) to write under two pen names. This brings up another question of whether or not to start writing under a publishing company name or not. Which brings up another problem. I want to get a federal ID number, but I found out from two different author friends that when trying to change from a SS# to a EIN, or from one EIN to another one, Barnes & Noble made them delete their account and republish all their books under the new number. Which means, they lost their reviews and ranking. If Amazon can just let them change the number, why in the world can’t B & N do the same thing? That’s made me rethink the EIN number. I have some decent reviews on B & N, and I would hate to lose those. This makes my eye twitch. I’m also proofing a new book for a client, so that business is going well. So, how are the rest of you doing? I haven’t written anything this week yet since I’m going back to my Thursday, Friday, Saturday writing schedule for awhile. And then I’m going on vacation next week, so I’m going to READ instead of write that week. But I DID do something I’ve needed to do for a long time. In fact, I’m really ashamed that I hadn’t done this yet. It’s been hanging over my head for a while. When I proofed Haunted Lake for print, I found several errors in the original manuscript. Errors that had been missed before publishing the ebook. I fixed them and had others look over it before publishing in print. However…I never got around to replacing the manuscript for my ebooks on Amazon, B & N, Smashwords, etc. I’m am SO not proud of this. So last night, I went into my office and got the printout of my book where I had corrected the errors, and got to work. I fixed all the errors and made a couple of small changes I had made for the print version. And I got it uploaded everywhere. The only snag I ran into was with Smashwords. Since all retailers have changed the requirements for book cover sizes, Smashwords couldn’t distribute the new version to Apple, Sony, etc. until I sent a new cover. (Amazon and B & N didn’t make me send a new cover.) My wonderful cover artist, Anya Kelleye, is super, super busy right now since she’s picked up several new book cover jobs, so I hesitated to ask her to fix this for me. I emailed her, told her the situation, and asked how long it would take to change the cover size. She dropped what she was doing and immediately fixed this for me. What a friend she is! So I was able to upload the cover and now Smashwords is happy. And I feel better knowing that an error free (I hope) version of Haunted Lake is now out there. This is still my favorite of all the books I’ve written. I don’t know if it’s the BEST one I’ve written, but this story is still close to my heart. 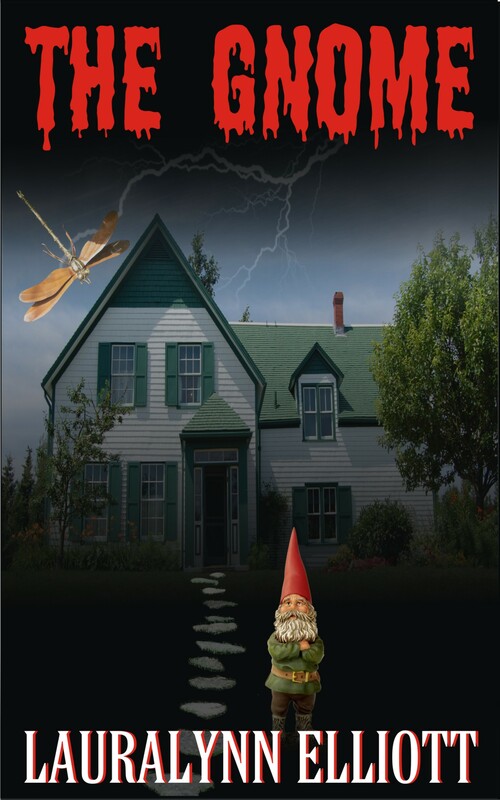 The Gnome would be a really great read for Halloween. Buy it! Amazon, Barnes and Noble, Smashwords. I don’t have a lot to report. I’m letting my WIP sit for a few days after finishing, and I plan on starting the editing process tomorrow. I usually don’t have a lot to edit because I do a lot of editing along the way. But when I do the final read through, I always find things to change or add. I rarely find anything I want to take out. Since I’ve been at this writing thing awhile, my first drafts are much cleaner. On a weird note. You know how Amazon sends you those emails suggesting certain books to read based on other things you’ve bought from them? Amazon sent me an email today suggesting two of my own books to me! That’s never happened before, and I thought it was kind of funny. Hmmm, I wonder if that means they suggested those two books to other customers….